A scientific project is exposing ancient texts concealed for centuries beneath more recent writings. "You get a material sense of the fragility of history and the disappearance of important texts - we think of Plato, Homer and Aristotle - texts that have been lost." Palimpsests are parchments which were once re-used: scribes erased older works using lemon juice and scrapers, and inscribed newer works over the top of them. Works that seemed insignificant to the scribes at the time are of considerable cultural interest to modern-day scholars, who can read them thanks to spectral imaging technology. The Early Manuscripts Electronic Library (EMEL) is an international team of scientists and technicians, which is working in collaboration with St Catherine's Monastery and the Egyptian Ministry of Antiquities to uncover the lost words and digitise their findings. St Catherine's Monastery on Egypt's Sinai peninsula houses one of the world's most important collections of palimpsests. Believed to occupy the site where God handed the Ten Commandments down to Moses, the Monastery has a library that was famous a centre of learning even in the sixth century. 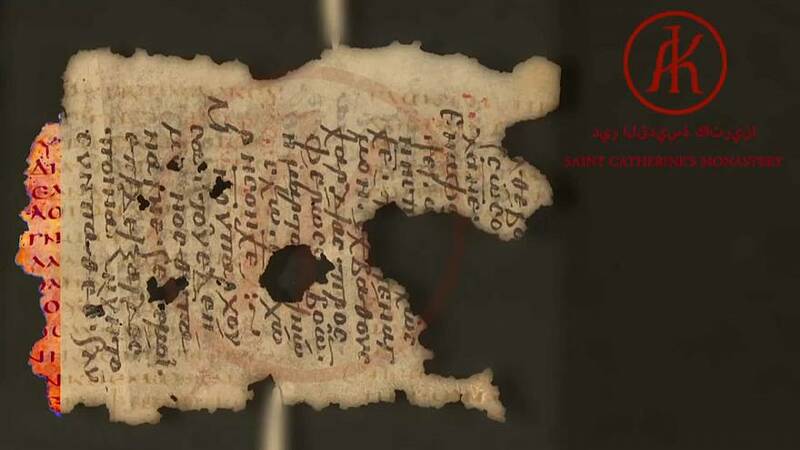 Its dry climate has helped preserve the fragile parchments. Over 6,800 pages of palimpsests have been examined, revealing works in ten languages, including some that have been lost, such as Caucausian Albanian, which was spoken in what is now Azerbaijan. One of the most significant finds is a recipe believed to have been written by Hippocrates, the father of western medicine. The acitvities of so-called Islamic State in the Sinai region pose a potential threat to the survival of the Monastery and the manuscripts, so work to digitise them is more urgent than ever. Perhaps ironically, one of the library's most important writings is a letter handwritten by the Prophet Mohammed himself, and guaranteeing the Monastery's protection.